Alex Salmond to stand for UK Parliament? Almost certainly, by the sound of it. So, how is this going to play out? Jock1e - Nearly four years ago, I had forgotten about that, but it would seem it still applies. I still seem to recall that travelling around at that time, and spending many days and months living in some areas, the drink laws that applied at that time, could usually have a silver lining, if you had the right contacts, anywhere in the UK and elsewhere. The 'guest/traveller' and hotels ruling had different meanings in some parts, depending on how many rooms or beds the premises had. Leo Starkey had some involvement with that, I believe, on how a 'pub' or similar establishment could become an hotel under drink laws at that time I refer!. "Sunday night heaven for all the 'bona fide' students, (most with legitimate 'home addresses' hundreds of miles away - who, thus, were obvious travellers!!!)." Much the same applied to the Church Inn in Stoneykirk, and my RAF colleagues at West Freugh! 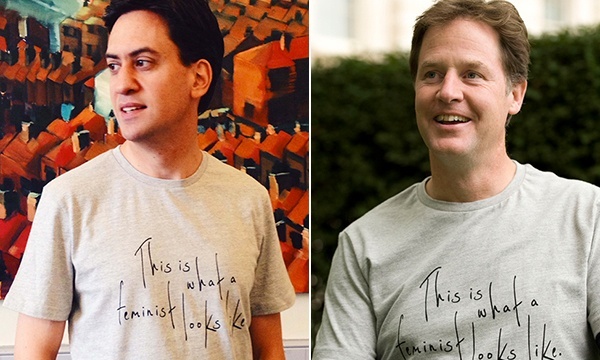 Maybe Milliband is Clegg with a hair dye? Or, is Ed Balls the bread monster?